In a medium bowl, combine chocolate pudding mix and 2 cups milk. Whisk until smooth and refrigerate for 10 minutes or until set. Meanwhile, combine remaining milk and cinnamon squares in a blender and puree for 30 seconds. Add ice cream and pudding mixture to blender and blend for 30-40 seconds. 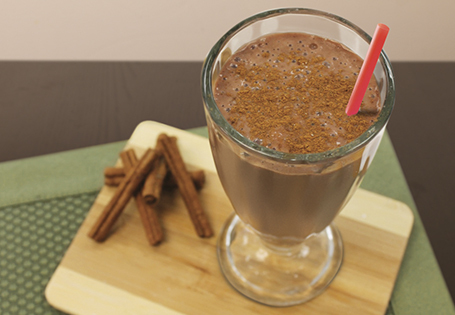 Pour into a tall glass and garnish with a sprinkle of ground cinnamon.